The world today is so dynamic and rich in different experiences, that standing out from the crowd is not an easy task. No matter if it comes to the way we express ourselves through our style or through the business we develop, it is important to make impression and be noticed. First impressions are not always wrong, in spite of the famous saying. Do not underestimate them. When it comes to your stylish appearance and good manners, first impressions are very important, as the same goes for your online identity. That's why it’s very important to put efforts and build an impeccable image for your potential customers. By using a catchy and authentic name for your business in the digital world. If the vast choice of domains makes your decision difficult or almost impossible, you might like the .pro domain extension. It fits each and every type of business activity. You offer services in the field of photography, design, renovations or cosmetic procedures? Show them to your customers by using the .pro domain. Help web users find you quickly and easily as you choose an original domain name. 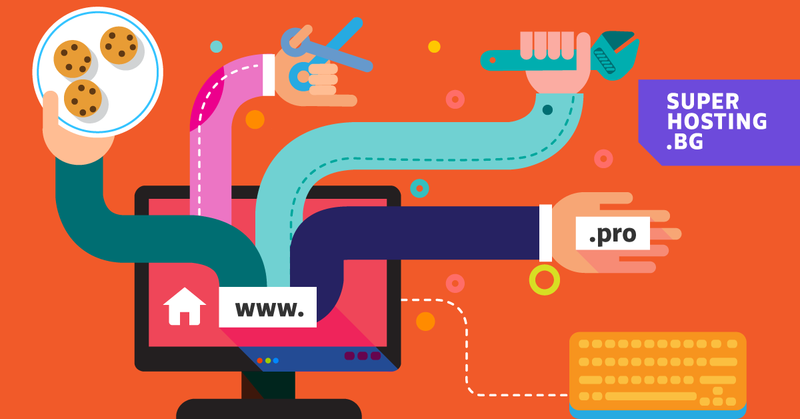 One of the best features of the domain extension is that it can be used by each and every business no matter what their field of activity is. It wins the hearts of your future customers. Here we will quickly reveal the truth. Your potential customers would trust a professional much more. Think about it. Who would not choose working with a specialist having the necessary skills and expertise? The domain extension will quickly signify your professional competence. Let’s get back to the first impression. Only a few seconds are usually enough to attract users’ attention. Give a clear indication to your customers where they are and what they can expect from your website. This way you will distinguish yourself from the competition, emphasizing that you are “pro” in your field. There is a better chance the desired domain name to be free. If you have already checked your brand name idea by using the most popular domain extensions and it was already taken, try with .pro. There is a considerably big possibility that your desired website name is free. Remember that it is important to stand out with a short and impressive domain name which can be found by web users with just a few clicks. Tip: You can choose between dozens of combinations which represent your service in the best possible way, for example: thebesthosting.pro. Be creative and develop your business idea by using the right strategy. The good news is that the .pro domain is registered quickly and easily. The steps for ordering the domain name are identical with the registration of .com, .net and .org. Save time when choosing the best name for your brand. Be brave in your dreams by turning them into a successful business with the help of a reliable hosting service and a memorable domain. We will make sure they are up and running while you feel comfortable. Choose the .pro domain to set a beginning for your online projects and show your customers the importance of trusting a high quality service, provided by a true professional.